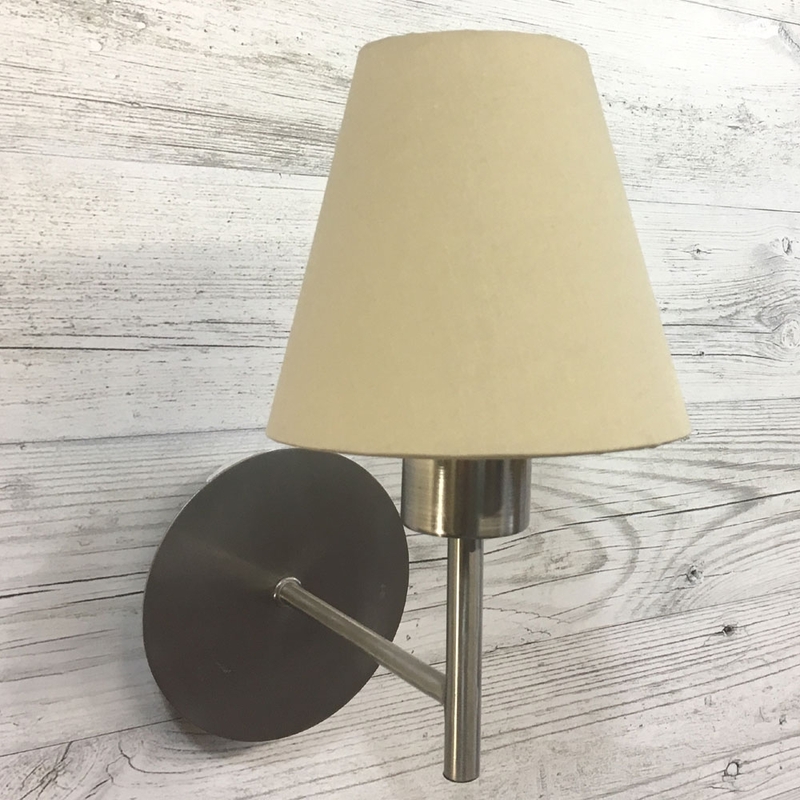 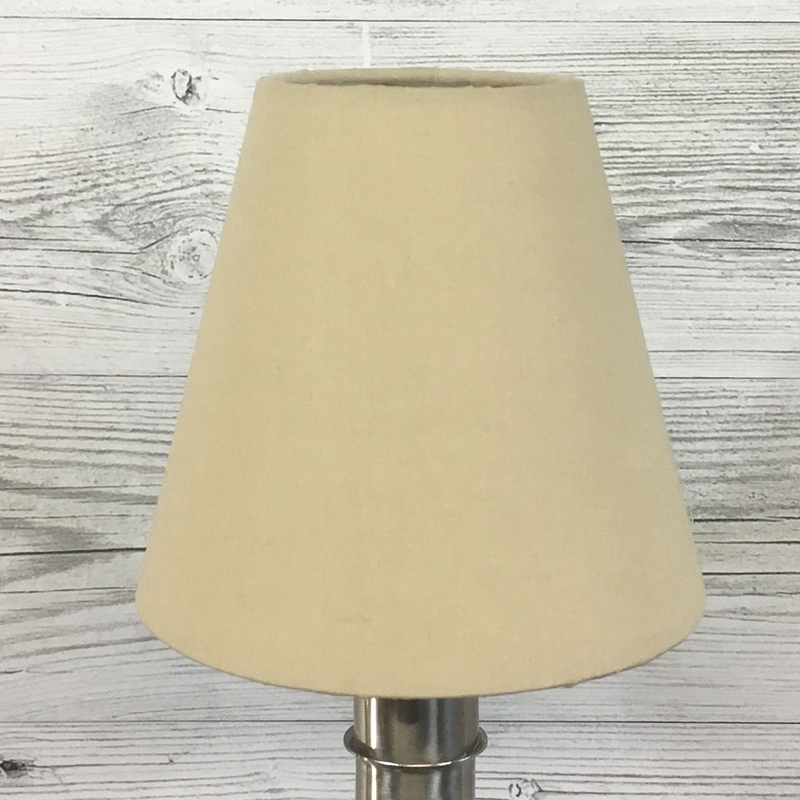 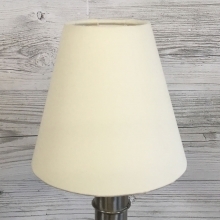 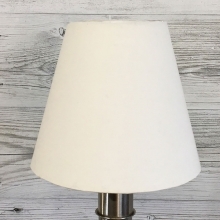 Brighten up any room with this gorgeous taupe cotton candle lamp shade. 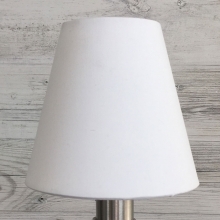 Handmade to order this lovely lamp shade is finished with a hand rolled edge top and bottom. 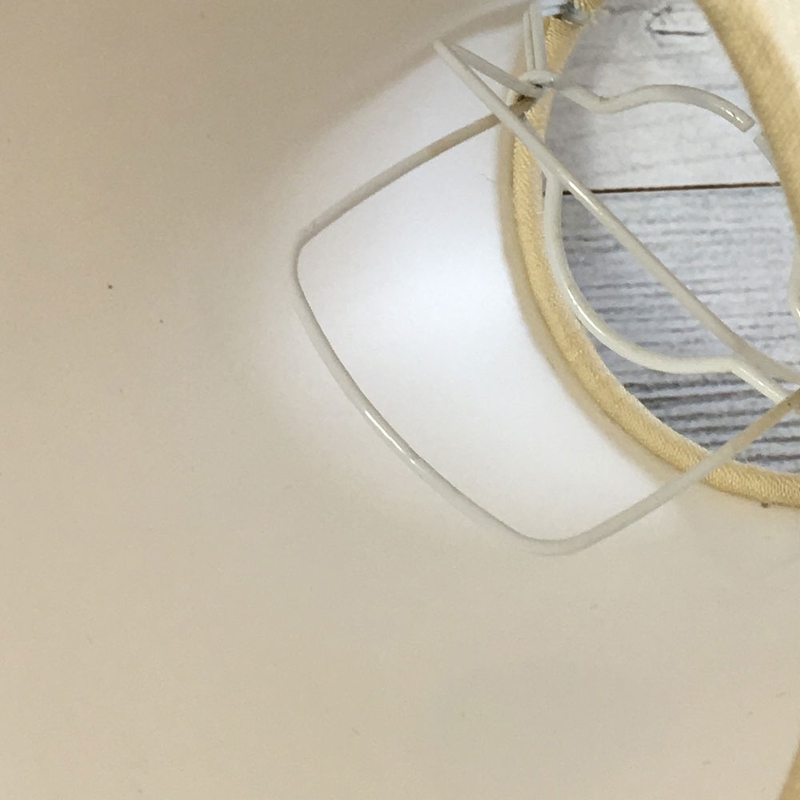 Lined in white PVC and supplied with a bulb clip fitting.